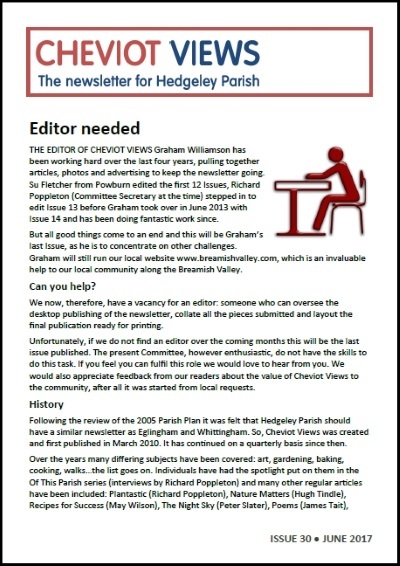 Editor Needed – Robbie Burn makes an appeal for a volunteer who would be willing to take on this role from September 2017. Nature Matters – Hugh Tindle discusses some of the comings and goings of birds during the spring in the Breamish Valley. West Percy Hunt – Jen Armstrong outlines some of the activities of the local hunt, with the help of Giles Bennett. 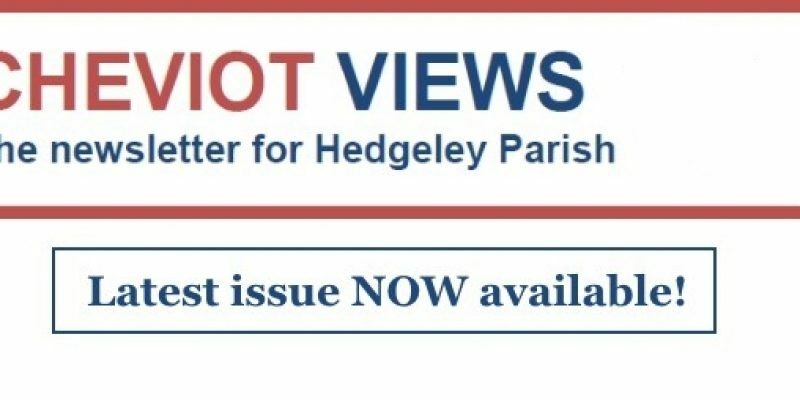 You can download Cheviot Views No.30 here.